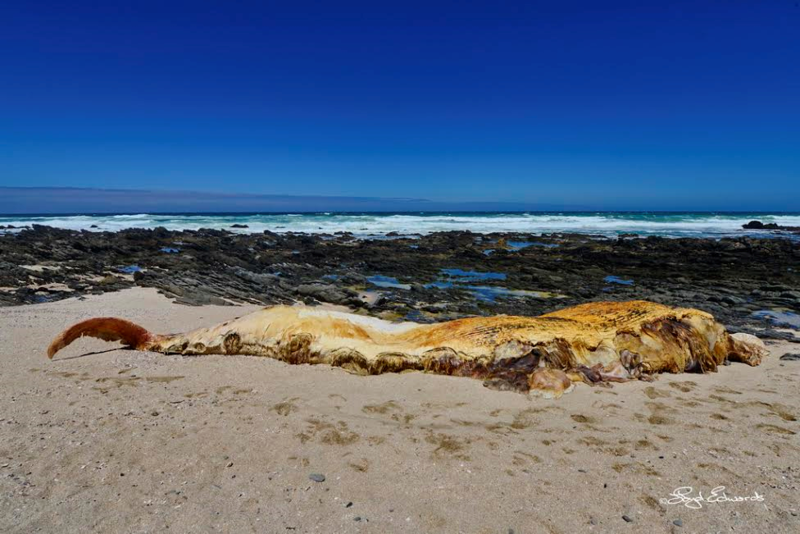 A 15 metre whale washed up at St Francis Bay last Thursday, 27 October 2016. 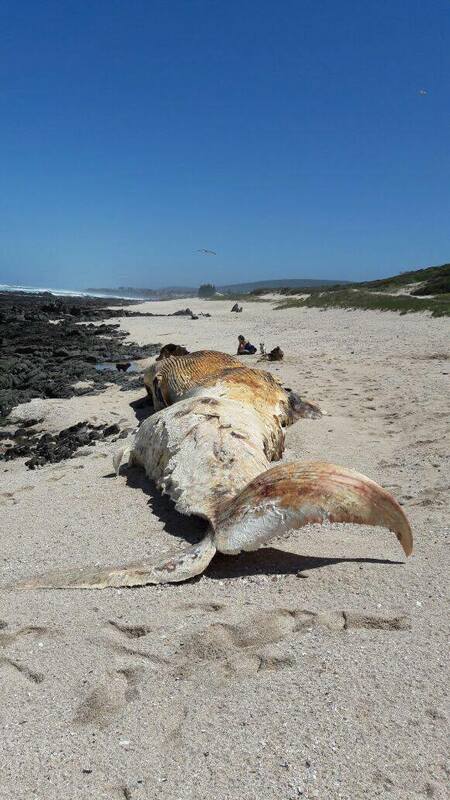 This was eventually towed back out to sea to decompose further. 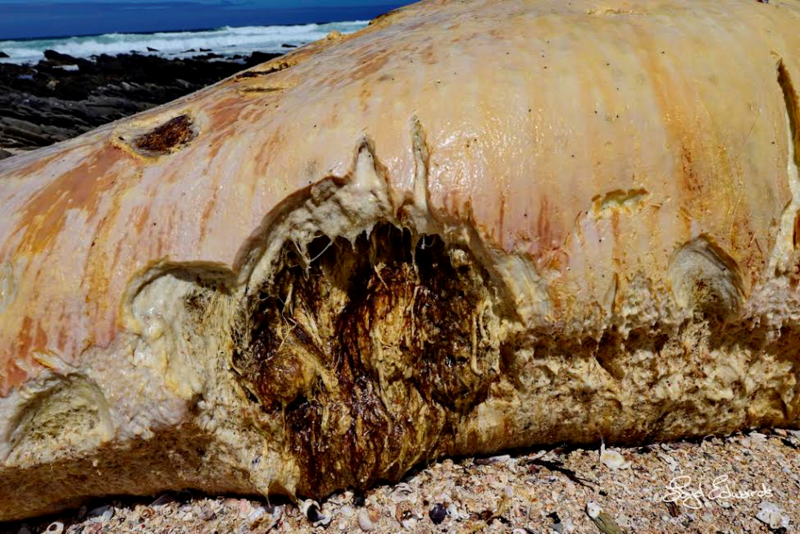 Although, the caption in yesterday's Burger says that is was a Southern Right Whale, it was infact a Humpback whale. This can easily be seen by looking at the shape of the long flippers and tail. 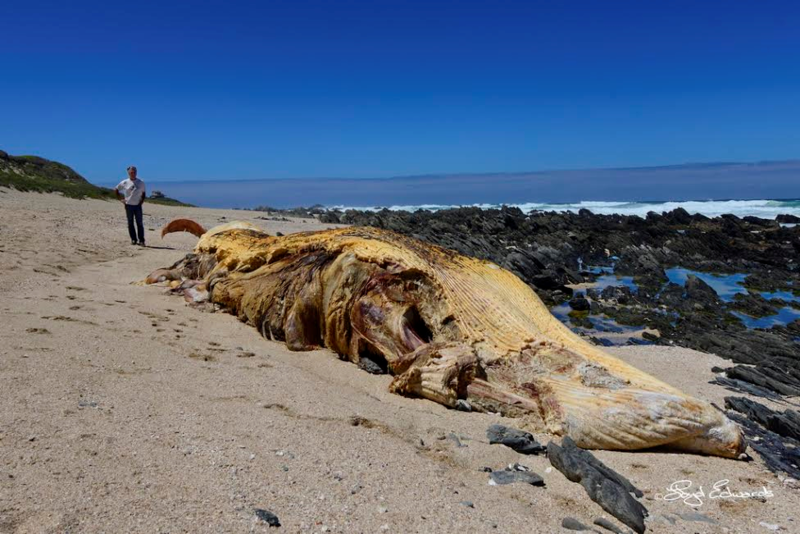 It was also 15 metres long, which is huge for a Bryde's whale. They have smaller side flippers than a Humpback and a different shaped tail. Bryde's whales are full up along our coast at the moment, as they are feeding on bait fish, which have been around in great quantaties for the last few weeks. 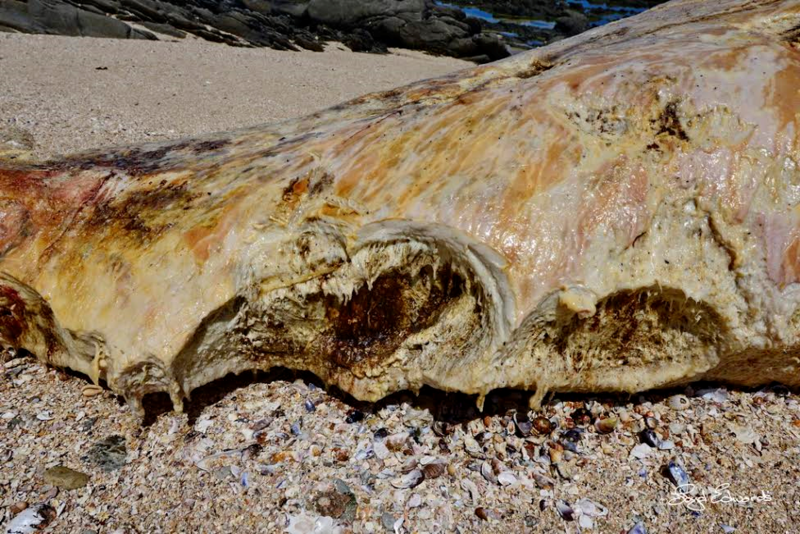 It also had large shark bites on the underside. Similiar in size to the one observed in St Francis.